Just over a month ago I met up with a guy from work who also does home brewing. We shared some stories, had a few drinks and swapped some bottles. You should check out CarnieBrew’s blog. The first bottle I’ve tried is the Carnie Pale Ale III. If you want to see some more info you can see the ingredients in Brew 11. 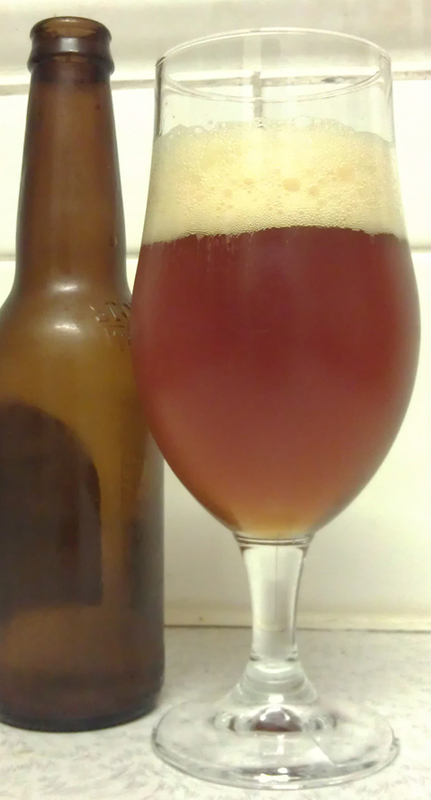 There’s a fair amount of Cascade and Amarillo hops that went into this beer. Plus a lot of liquid malt. The result is a bit of a mixture of flavours and characteristics. The aroma plays around with the two hops. Giving both an apricot and an earthy smell. A hint of vegetable is also in there, which reminds me of some Moon Dog beers I’ve had in the past. The initial flavour is light. Then things build up with a tart and dry body. The fruit/earth from the aromas comes on a little but the vegetable flavour is what I taste stronger. It finishes quite dry and with a bit of tang. I think the parts that I don’t like might be due to the yeast or use of wheat liquid malt. I’m not a huge wheat fan myself. Then there’s a fair few things I do like here, the hop smells and flavours seam to be quite nice. And the beer hides the alcohol very well. Overall this reminds me a lot of Moon Dog beers. And as such, I would recommend any food with a bit of kick to fit with this. Maybe a spicy stir fry or a gumbo dish.